When you come out and hit every shot that you take it is a good way to get a win. 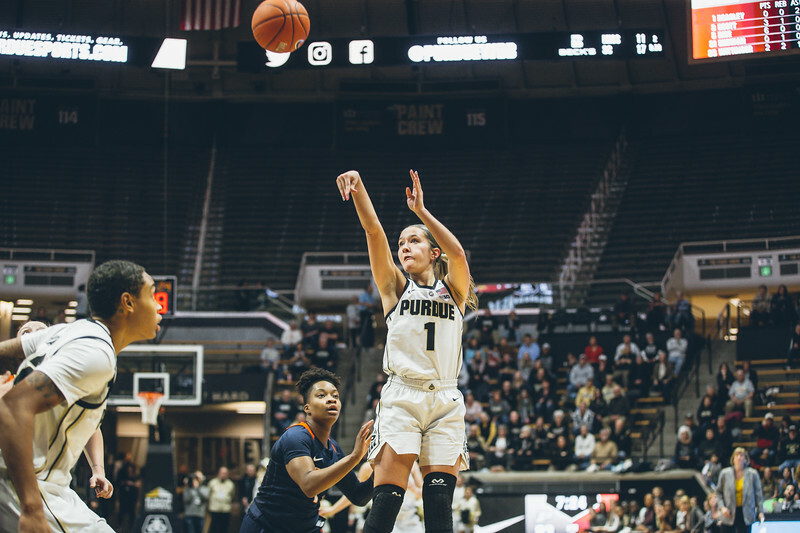 That is exactly what it seemed like Purdue did on Thursday night. 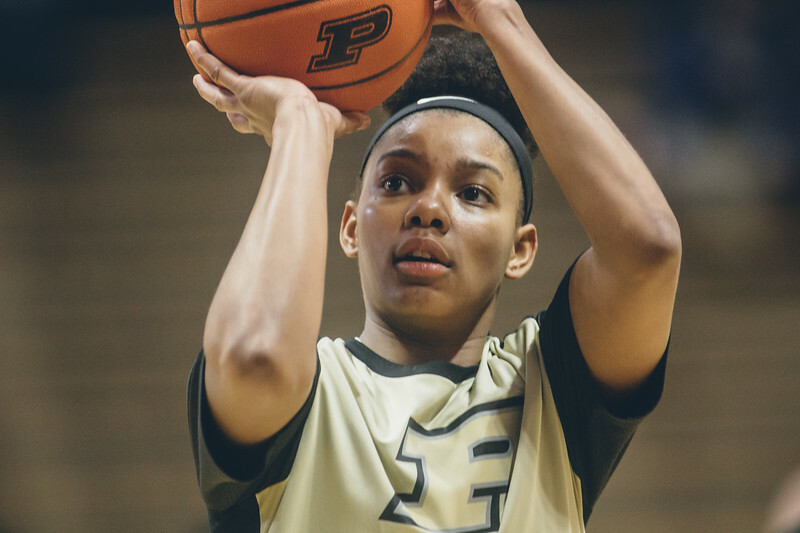 It was a hot start that help the Boilers cruise to the win. This is how you want to draw up the start of every game. It is nice when it actually happens. This was my first game shooting with my new to me 300mm lens. Back in 2013 I rented a Canon 300mm lens for a weekend and I loved it. I was not making that much money at photography at the time so I ended up buying a Sigma 300mm lens. Earlier in the week I bought a 300mm lens from a friend. 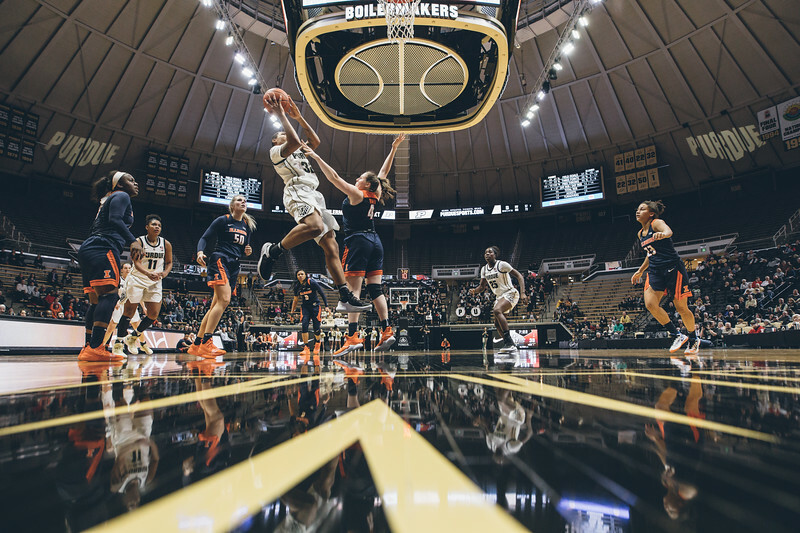 He used to shoot at Purdue so it was cool to have this thing making images at Purdue again. I can’t wait to try this thing out more, but it worked very well for making images at the other end of the court. I had a plan for a remote camera for the game. I wanted to have it under the basketball in the hole on the hoop during the first half, and then move it out to the side for the second half. After reviewing my first half images I did not think that I had made the shot that I had in mind. I ended up switching lenses from my 24-70 to a 20mm prime for the second half. I made this photo which was okay, but still not the dynamic image that I had in mind.